Windra Yusman pursued his bachelor’s degree in Physics, in Institut Teknologi Bandung (ITB), Indonesia with a final project related to Geothermal Resource Assessment. He completed his bachelor degree in 2011. He continued his study in Geothermal Engineering ITB which funded by USAID-STAR ENERGY Scholarship in 2013 and finished in 2015. 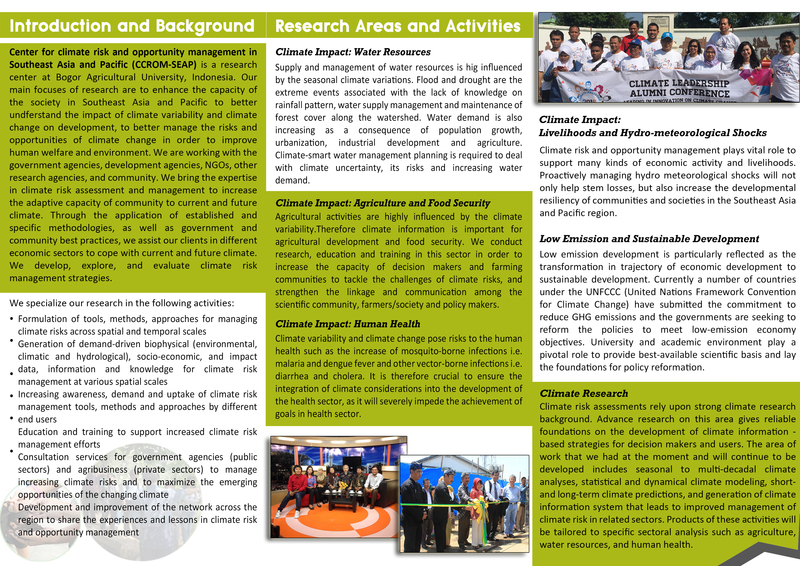 Windra joined CCROM SEAP IPB in December 2016. 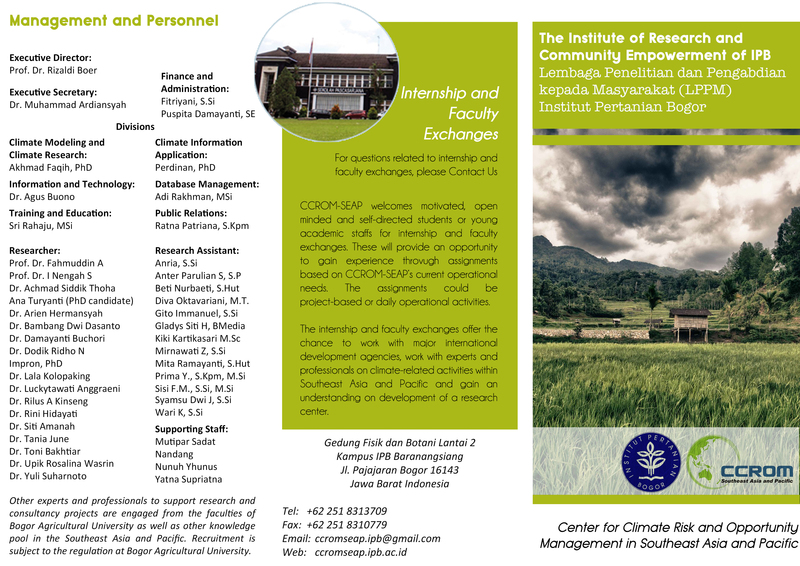 Currently, he is working as Research Assistant in CCROM SEAP IPB (Center for Climate Risk and Opportunity Management in South-East Asia Pacific IPB). In CCROM SEAP IPB, Windra was involved in several Projects such as, Cooperation Between the Netherlands And Indonesia: Enhancing Capacity Building on Indonesian Green House Gas Inventory System and International Consultancy Team for Timor Leste's SNC Project. Windra has special interest in study about, Climate Change Mitigation and Adaptation, Energy Economy and Policy Analysis.